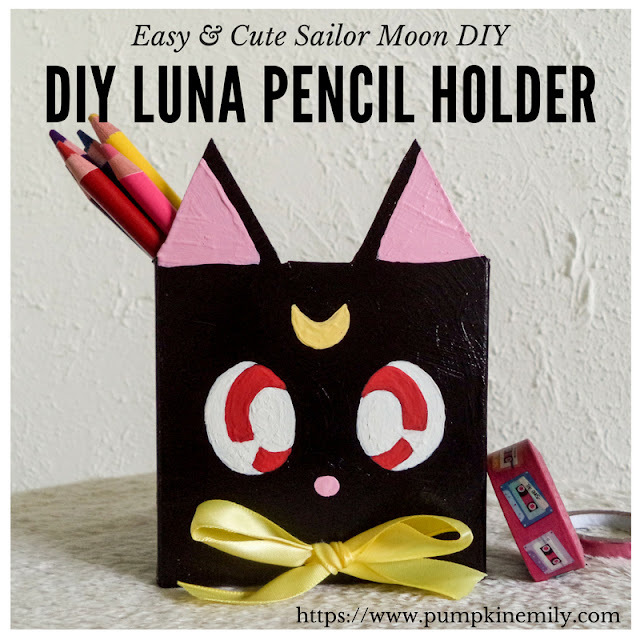 I'm going to show you how to make a pencil holder inspired from Luna from the anime Sailor Moon. 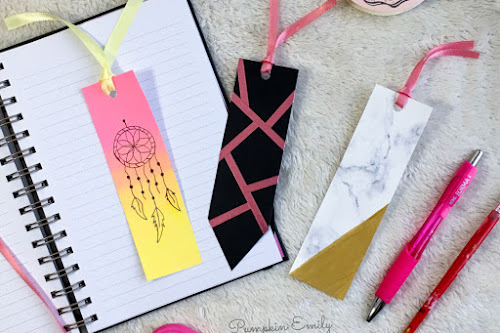 This DIY pencil holder is really easy to make and you can use a box or a carton to make it. 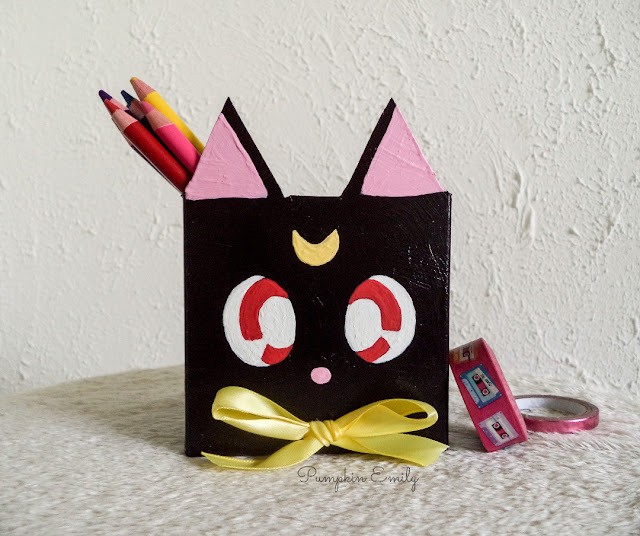 It also makes a cute Sailor Moon room decoration that could go on a desk. 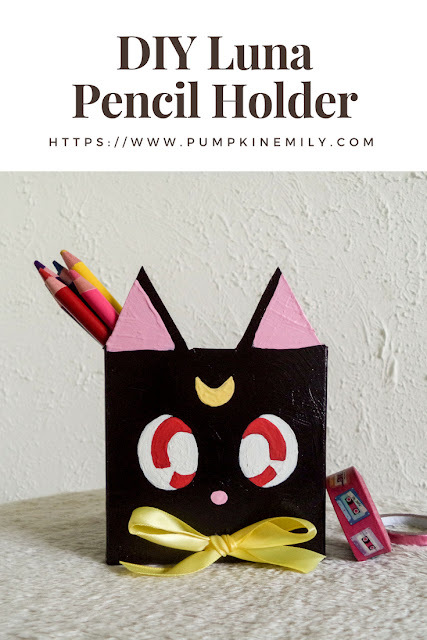 Let me know in the comments down below what you think about this Sailor Moon inspired pencil holder and who is your favorite character from Sailor Moon. I love how it came out and Sailor Moon is one of my favorite shows when I was growing up.